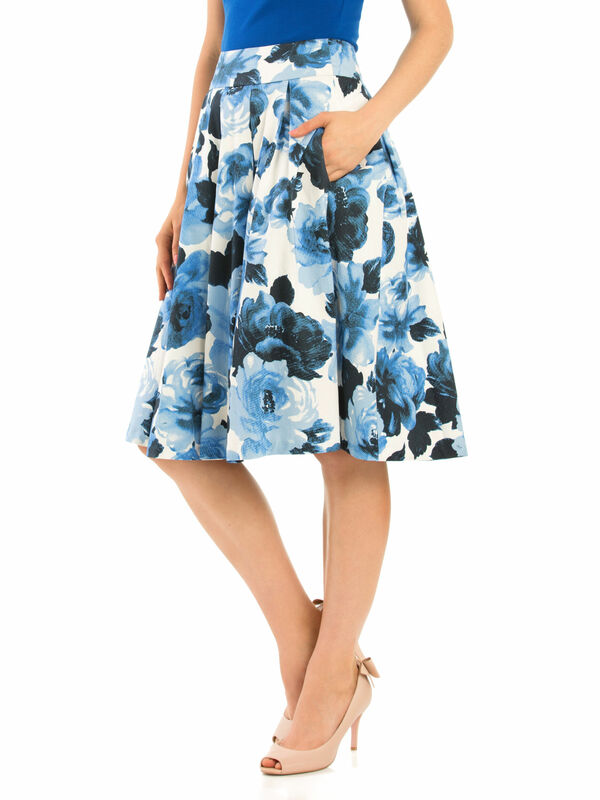 Miley Blue Rose Skirt https://www.review-australia.com/global/miley-blue-rose-skirt-blue/RE19SK095.RECRM010.html Floral prints will never go out of style, especially during the warmer seasons, and this Miley Blue Rose Skirt is a classic and versatile option for both day and night. 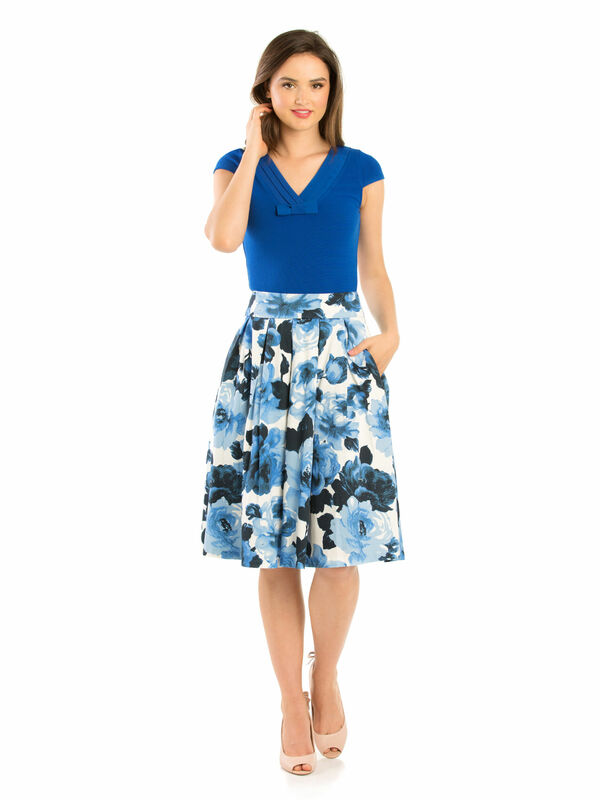 Designed in with a pleated, A-line fit, with a concealed zipper on the reverse. The skirt is fully lined to add soft movement. 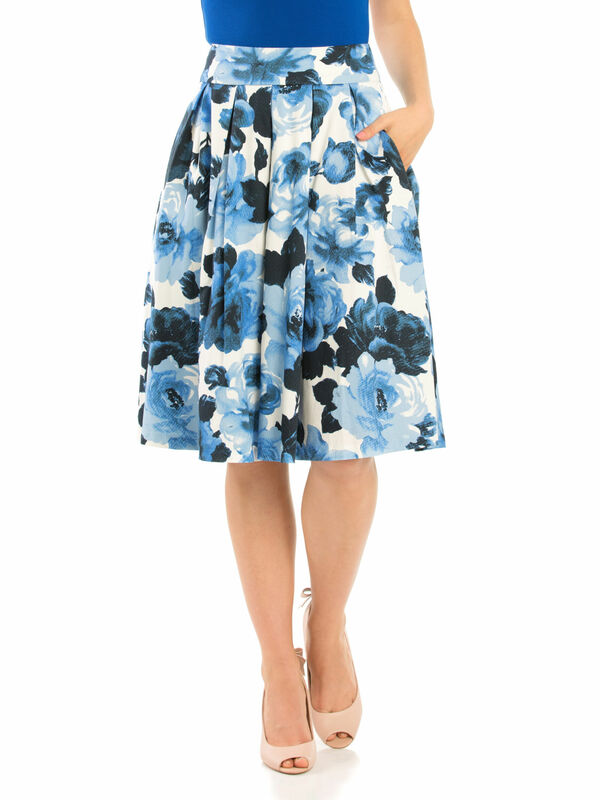 Worn with the Hettie Top and Beverley Peep Toe Heels. 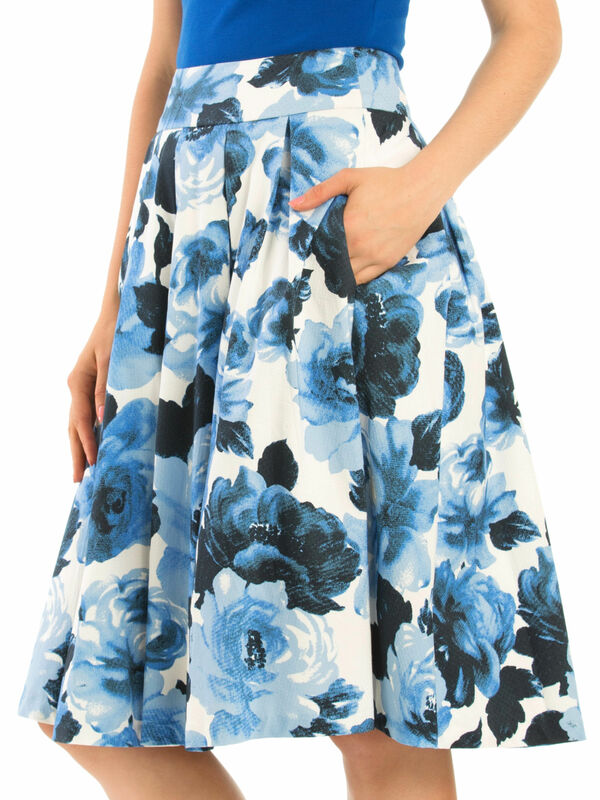 Floral prints will never go out of style, especially during the warmer seasons, and this Miley Blue Rose Skirt is a classic and versatile option for both day and night. 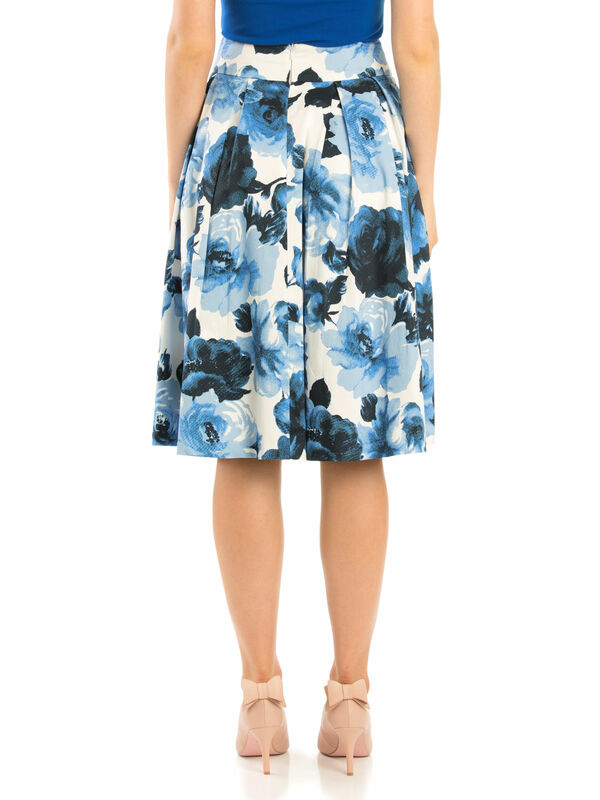 Designed in with a pleated, A-line fit, with a concealed zipper on the reverse. The skirt is fully lined to add soft movement.